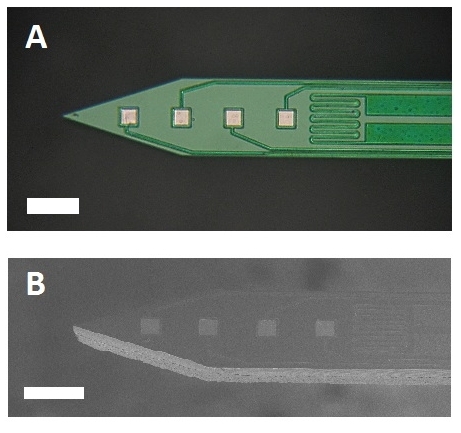 The 5 mm long, single shank, multi-channel probes are composed of a custom thiol-ene/acrylate thermoset polymer substrate, and were micromachined by standard MEMS processes. The 60 micron thick device was successfully implanted into the hippocampus of rats without the aid of any insertion shuttle. Spike amplitudes of 84 µV peak-to-peak and signal-to-noise ratio of 6.24 were achieved in acute experiments due to black-platinum coating of recording sites. 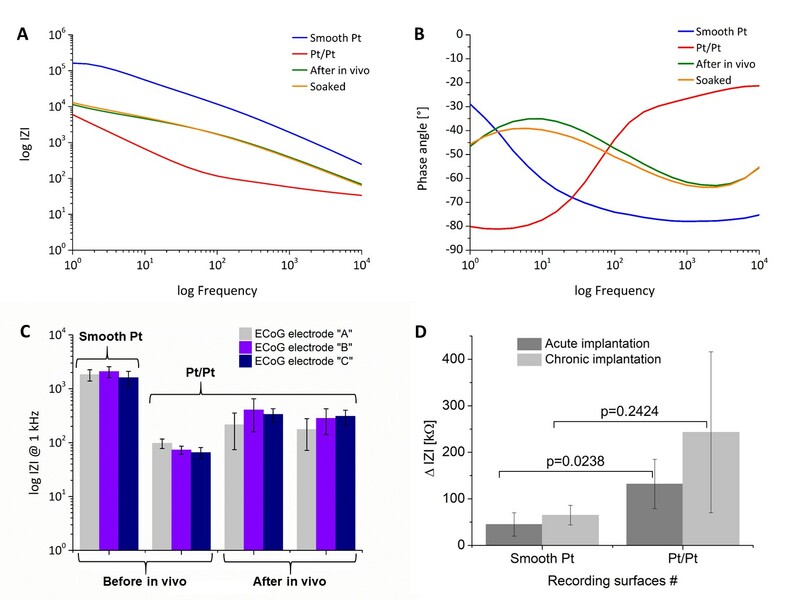 Our surface electrodes have been efficiently used in animal studies on oscillatory connectivity and were also validated in pharmacological experiments. 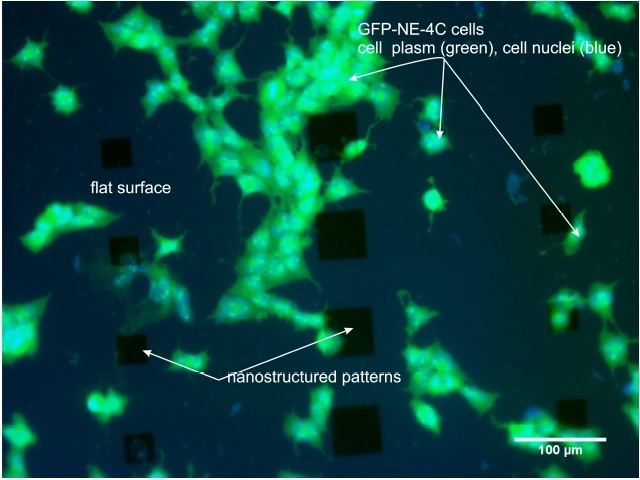 Our recent goal is to create novel, flexible, minimally invasive microsystems that are capable of high-resolution electrical monitoring of cortical activity and can be combined with other emerging neuroimaging techniques like functional magnetic resonance imaging, ultrafast ultrasound localization microscopy or two-photon microscopy. 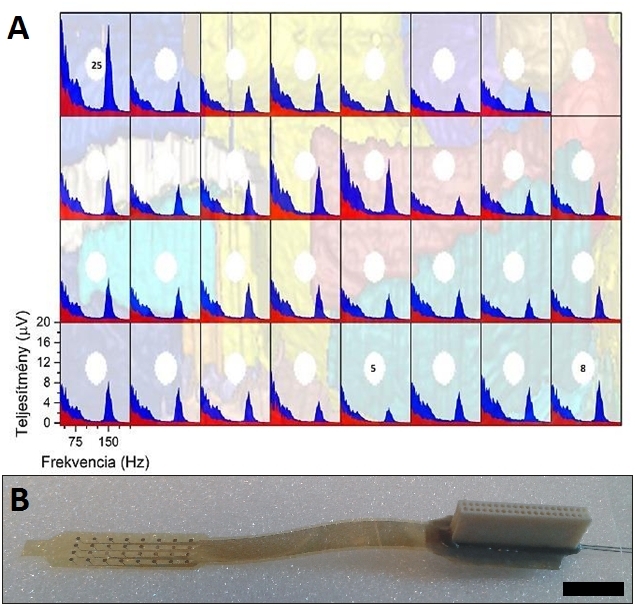 In our work, we propose an implantable, calibrated multimodal biosensor that facilitates the complex investigation of thermal changes in both cortical and deep brain regions, which records multiunit activity of neuronal populations in mice. 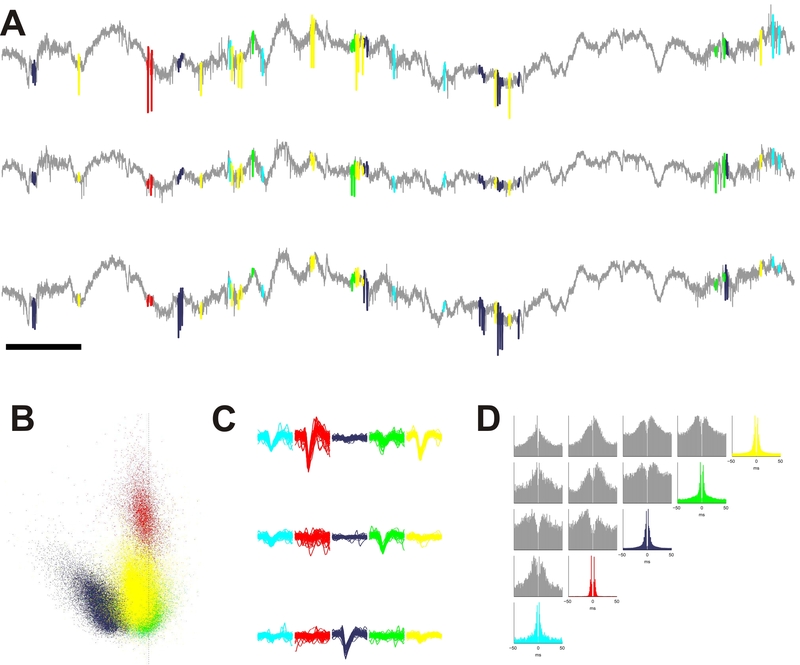 The fabricated neural probe contains four electrical recording sites and a platinum temperature sensor filament integrated on the same probe shaft within a distance of 30 µm from the closest recording site. The feasibility of the simultaneous functionality is presented in in vivo studies. The probe was tested in the thalamus of anesthetized mice while manipulating the core temperature of the animals. We obtained multiunit and local field recordings along with measurement of local brain temperature with accuracy of 0.14 °C. 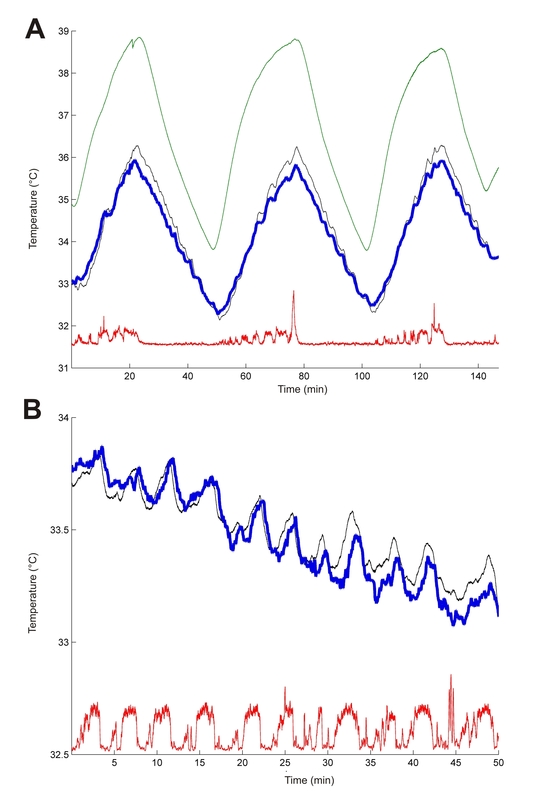 Brain temperature generally followed core body temperature, but also showed superimposed fluctuations corresponding to epochs of increased local neural activity. With the application of higher currents, we increased the local temperature by several degrees without observable tissue damage between 34-39 °C. 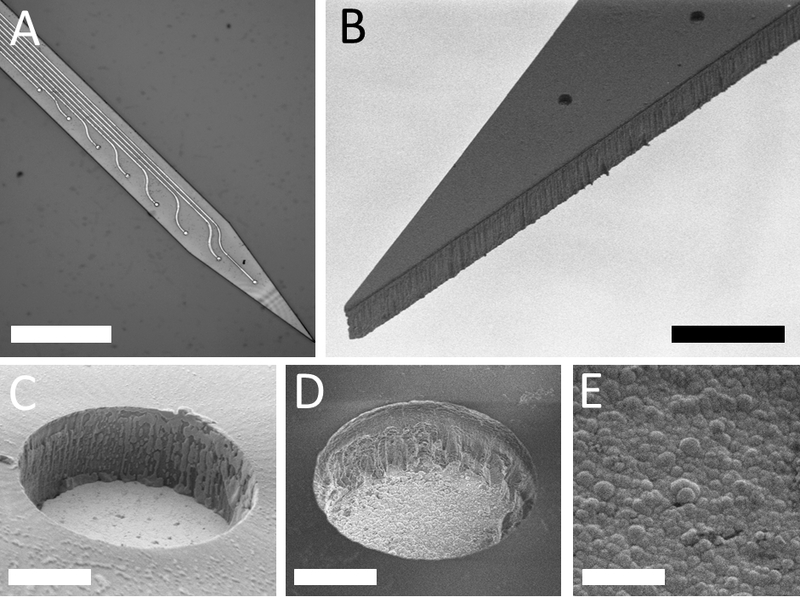 In our study, bioactive properties of Si nanopillars compared to microstructured Si surfaces were investigated after being implanted for eight weeks, in vivo. 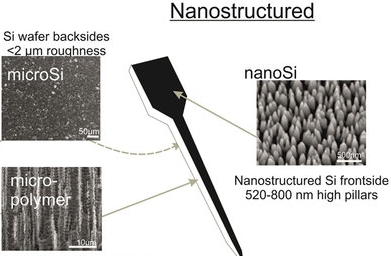 To form the randomly nanostructured surfaces, we utilise black polycrystalline silicon (poly-Si) thin film. 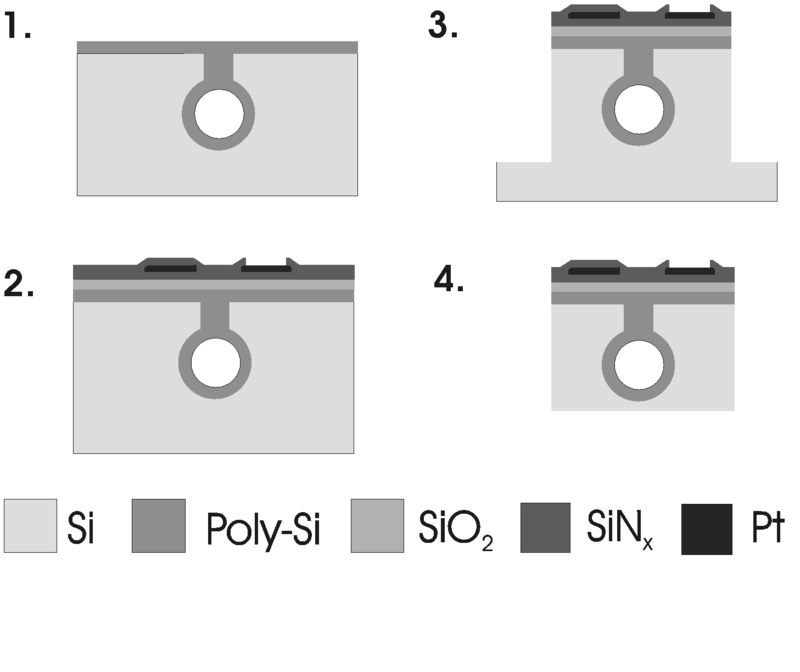 The advantage of black poly-Si is that its production can be integrated into the fabrication scheme of Michigan type silicon neural microelectrodes. 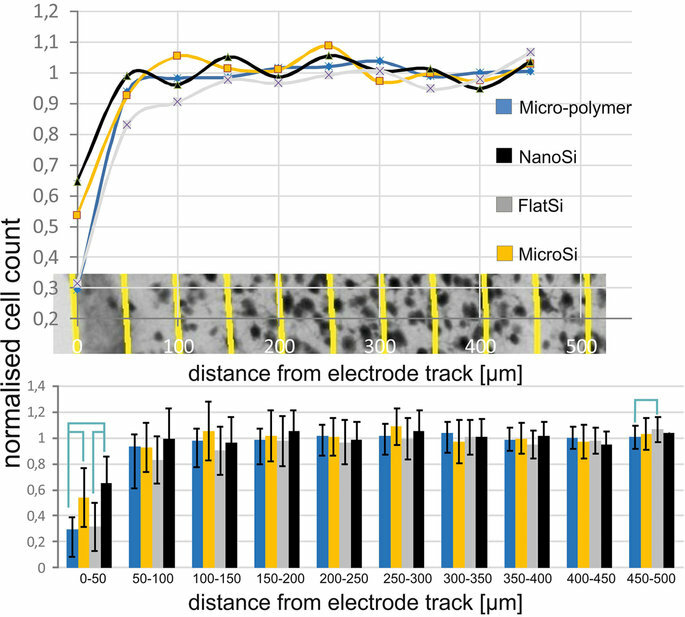 Our results suggest that surface topography can alter the effect of implantation regarding the preservation of neurons in a distance of 0–50 μm from the track. 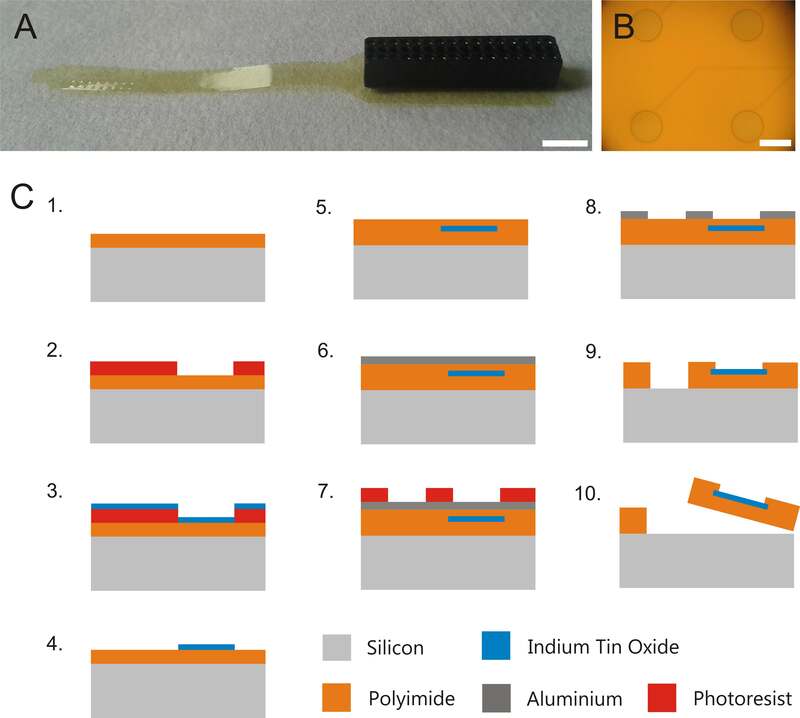 Nanostructuring the implant surface may be favourable for long-term applications as a larger neuronal density remains in the vicinity of a nanostructured surface and may provide better signal-to-noise ratio during electric recordings. 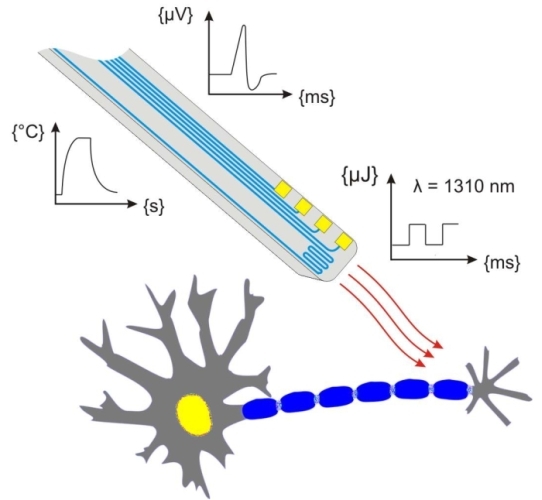 To reveal the underlying mechanism of infrared neural stimulation (INS) in the deep tissue properly, we present the design, the fabrication scheme and functional testing of a novel, multimodal optrode for future INS experiments in vivo. 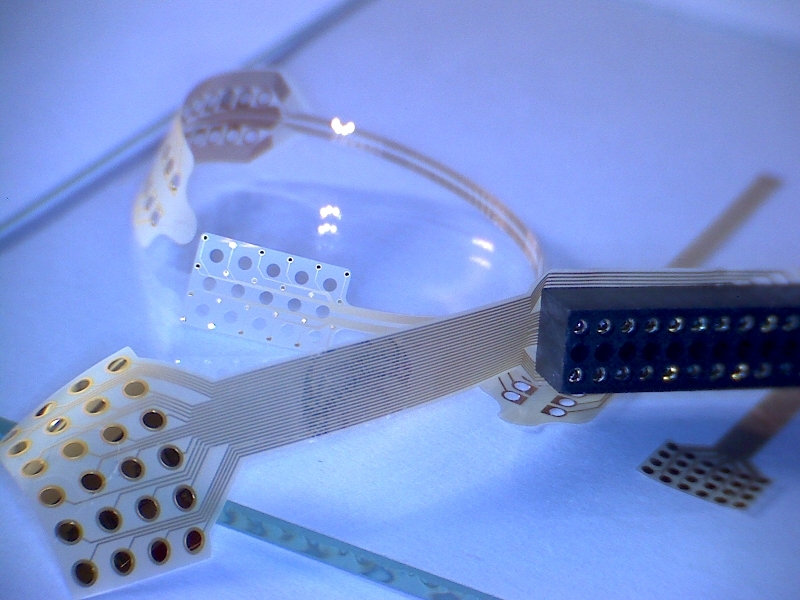 Three modalities – electrophysiological recording, thermal measurement and delivery of infrared light – were integrated using silicon MEMS technology. 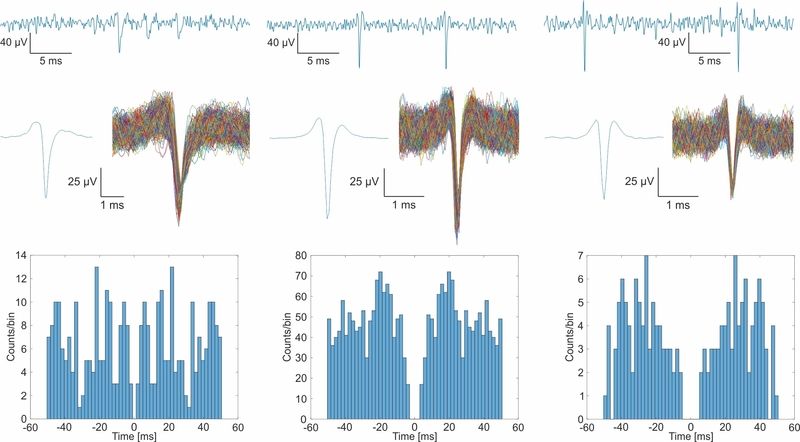 Due to the monolithically integrated functionalities, a single probe is sufficient to determine safe stimulation parameters in vivo. 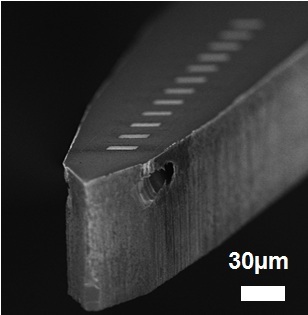 As far as we know, this is the first planar, multimodal optrode designed for INS studies in the deep tissue. 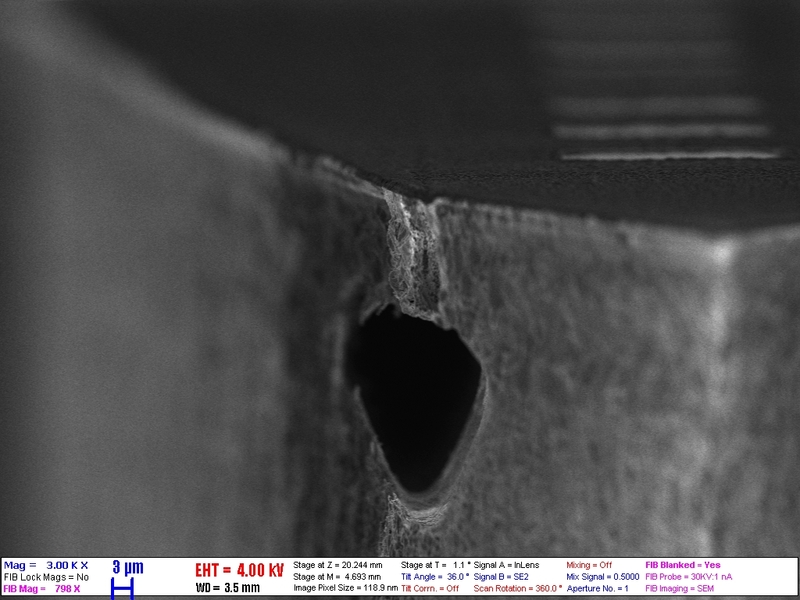 The average overall efficiency of the microoptical system delivering the infrared light at chip-scale is measured as 32.04 ± 4.10 %, while the max. efficiency in packaged form is 41.5 ± 3.29 %. The average beam spot size at the probe tip is 0.024 ± 0.006 mm2. 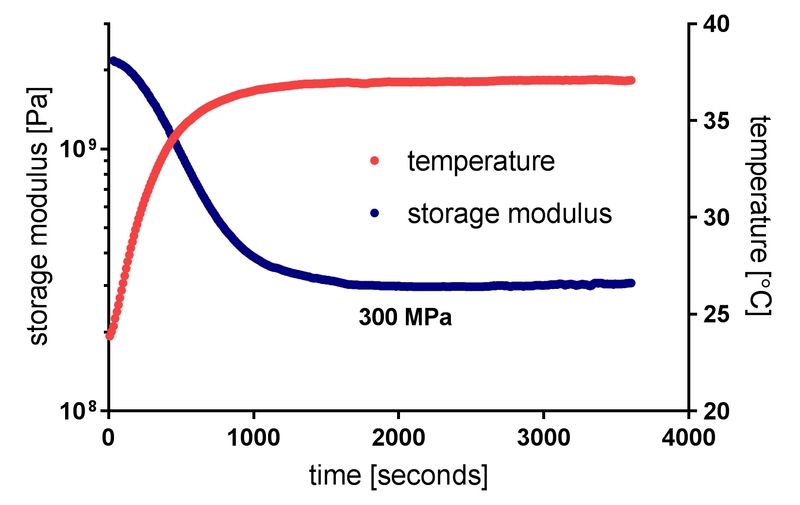 The temperature coefficient of resistance of the integrated thermal sensor monitoring the change in background temperature is 2636 ± 75 ppm/°C. The average impedance of the electrophysiological recording sites is 1031 ± 95 kΩ.